Premium WordPress plugin that comes with most complete tour management system. This plugin is especially designed for tour operator, tour package, travel agency, travel ticket seller, transportation ticket and much more. The system is integrated with plenty of necessary features. Publish Tours or Entry tickets easily using our own Tour custom post type. Set up price and tour time. You will have a lot of options for these settings. Admin and customers can track the transaction easily via beautiful designed dashboard. admin dashboard will be exactly the same. This video will demonstrate how the payment, tour booking, transaction backend, and the process of how this plugin works. Easily create & sell tours. With well designed system you can create many things you can think of such as, multiple day tour, one day trip, museum ticket, transportation ticket, Event ticket, Attraction ticket. 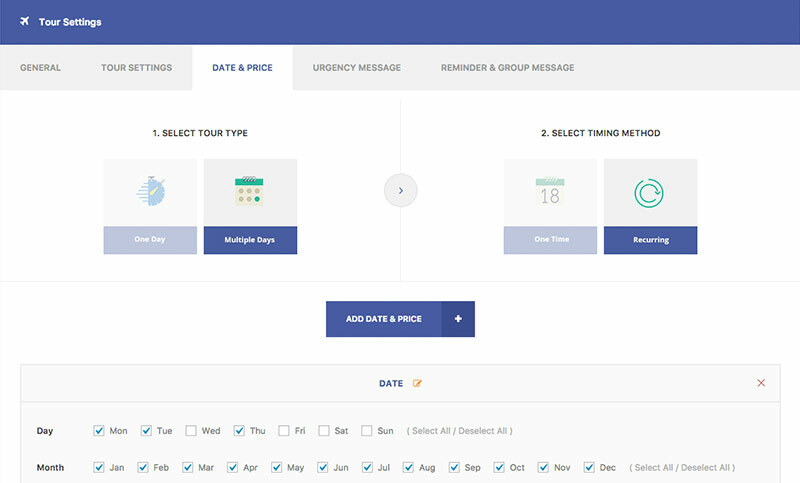 With Tour Master, you will have a lot of pricing & timing options for your tours. 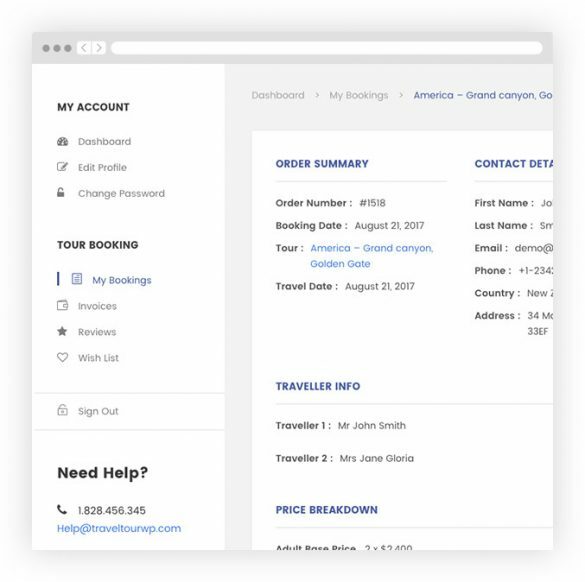 Purchase Tour Master Plugin, Travel Booking Plugin Now! 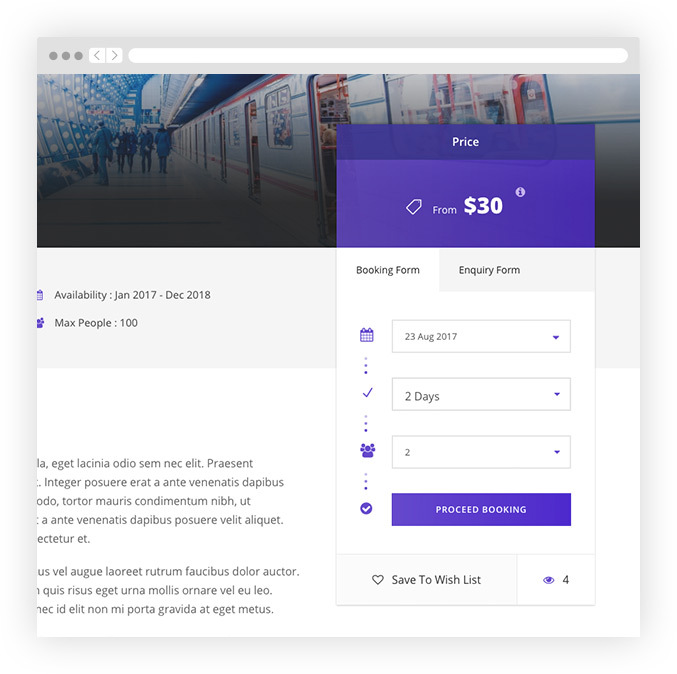 Very well design theme with many great features. Support is helping me to get everything setup and modified to my linking which is very valuable for me. Can totally recommend! I recently purchased this theme, found it very impressive and useful for travel & tours agencies. Also, to mention, I have been in touch with LOC from GoodLayers Support Team. He is very good and knowledgeable. Help me in almost every query. I would recommend it fully. This theme perfect travel theme. code quality and design and Document details and faster support. Thanks a lot developer. *Reviewed from customers who purchased Travel Tour WordPress Theme. This theme is also running with Tour Master plugin. 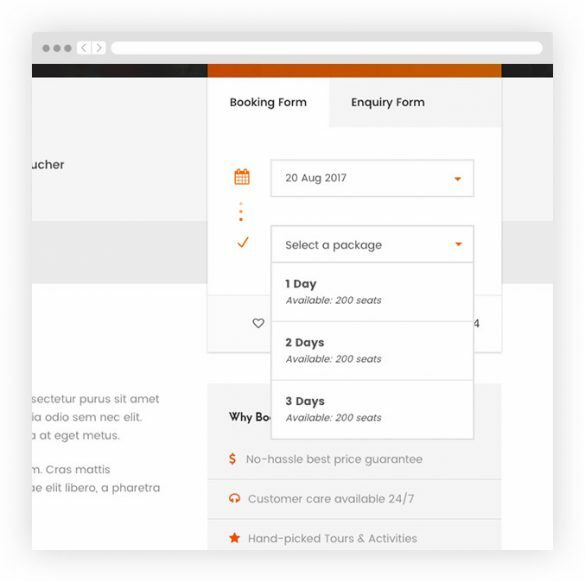 From the backend, your customers will be able to track bookings, write review, view wishlist, view and print invoice. Admin will be able to track each transactions and assign status to them easily. 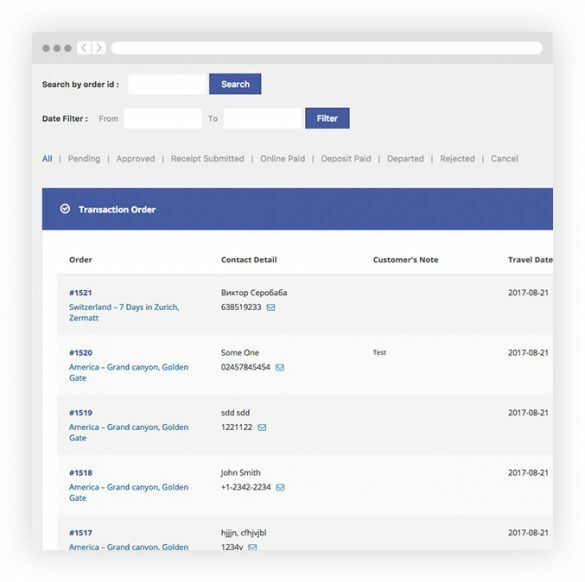 Admin can also search by transaction id or filter transaction by date range. Also transaction can be filtered by status as well. Purchase Tour Master Plugin Now! Travel Tour WordPress theme is the WordPress theme that especially created for Tour Master plugin. It is 100% compatible with Tour Master. 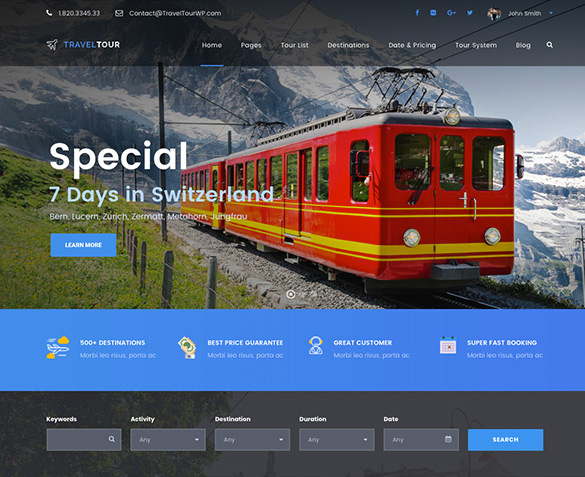 By purchasing Travel Tour WordPress theme, you don’t have to purchase Tour Master plugin anymore, the plugin is included in Travel Tour WordPress theme for free!